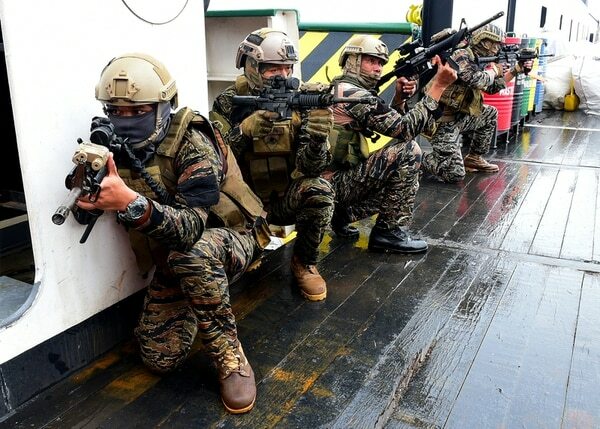 MANILA, Philippines — The Philippine military said Friday its joint defense and security activities with U.S. forces, including annual combat exercises, will increase next year in a show of the treaty allies' continuing robust relations. Top U.S. and Philippine military officials agreed to increase the number of joint security activities next year to 281 in areas that include counterterrorism, maritime security and humanitarian aid. There are 261 such joint activities this year, military spokesman Col. Noel Detoyato said. Philippine military chief Gen. Carlito Galvez and Adm. Philip Davidson, the U.S. Indo-Pacific commander, led an annual meeting of the allied forces at the military headquarters in metropolitan Manila on Thursday. President Rodrigo Duterte vowed to end many of the military’s combat drills with the U.S. military and the presence of American troops in the southern Philippines when he took office in 2016, while working to revive strained ties with China. Duterte said he wanted joint combat drills with the U.S. stopped because they may offend China, where he has sought infrastructure funds and trade and investment. 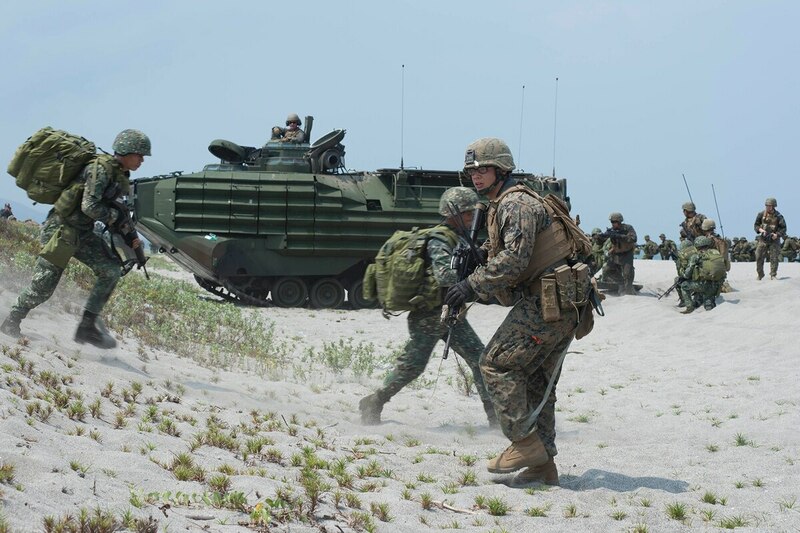 The U.S. military presence in the south and joint drills, however, have continued. About 150 to 200 American troops are providing non-combat assistance to Filipino troops battling Muslim militants. China has expressed concern in the past over joint military exercises near the South China Sea, where it's been locked in territorial disputes with the Philippines, Vietnam, Brunei, Malaysia and Taiwan for decades. "It's a bilateral issue between the Philippines and U.S.," Chinese Ambassador Zhao Jianhua said in Manila when asked to comment on the increased Philippine-US military activities. "What we hope is that the military relations between those two countries will contribute to the peace and stability of this region." A Philippine navy frigate has run aground on a shoal in the disputed South China Sea and efforts are underway to retrieve it and its crew who were unhurt. Zhao opposed the flight early this week of two nuclear-capable U.S. B-52 bombers over the strategic waterway, where U.S. ships have also sailed close to Chinese man-made islands to promote freedom of navigation in a region where Washington has repeatedly protested China’s assertive actions to fortify its claims.